You have a batch of photos on your computer that you make plans to move to iPad, so that it will be easier for you to share with your friends without posting them on social media. Well, because of this, here you will get the top best ways on how to transfer photos from PC/Mac to iPad/iPad Pro/iPad Air/iPad mini (4/3/2) with and without iTunes. 1.Create a folder that contains images you would like to transfer to iPad on your Windows/Mac computer. 2.Connect iPad to computer via USB cable, launch iTunes and then select iPad from devices list, then hit on the “Photos” tab. 3.Check the box next to “Sync Photos from” and select “Choose folder…”. 4.Navigate to the folder you have created that is including the photos you decide to transfer over, and then hit on “Choose”. 5.Tap on “Apply’ and iTunes will start syncing photos from computer to iPad. If you ask me which is the best option to transfer photos from PC/Mac to iPad, I would suggest the reliable and workable iTunes alternative - Tenorshare iCareFone. It is a handy tool to manage, clean, optimize, speed up and repair your iOS system for Windows, Mac, and iOS platforms. Step 1. 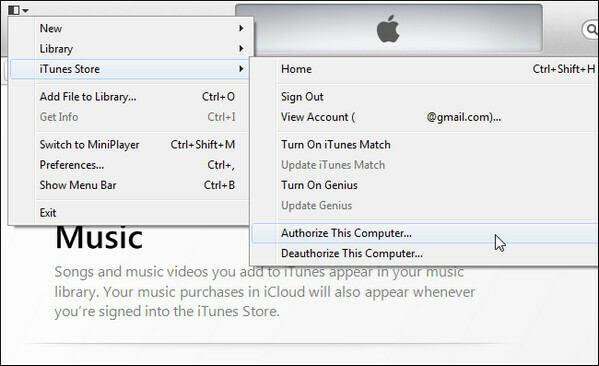 Download, install and register Tenorshare iCareFone to your Win/Mac computer. After that, launch it and connect your iPad to that laptop or desktop via USB cable. Both of iTunes and Tenorshare iCareFone will recognize the device. Step 2. In the main interface, tap on “File Manager” and then hit “Photos” on the new screen. You’ll see the Album in your iPad. Step 3. Choose your target photos in the Album and then click “Import” button. Step 4. It will ask to run Tenorshare iCareFone app on your iPad. Just download Tenorshare iCareFone on App Store and wait for the installation, then open it on iPad. Step 5. After that, click “I Have Done” button on the computer. Wait for a moment and you will see the photos transfer from computer to iPad “Photos” app. You could also try transferring photos from laptop to iPad without iTunes by seamlessly using cloud-based services like iCloud, Dropbox, Google Drive, etc. Most of them can be used on multi-platforms. Here I take iCloud as an example. For the sake of sharing photos from computer to iPad with iCloud, you have to turn on “iCloud Photo Library” on your Windows/Mac and iPad. Remember that iCloud uploader supports only certain file types like .jpg through the web. 1.Navigate to icloud.com on Windows or Mac platform. Type Apple ID and password to login iCloud account to access iCloud Drive. 2.Tap on “Photos” icon and then click on the upload symbol on the top right, import the pictures you would like to upload. 3.Wait for the processing bar at the bottom to copy pictures from computer to iPad. Finally, check your iPad to see the photos. How to transfer photos from PC to iPad without syncing? As early as we use iTunes, cloud services and app before, we send photos from computer to iPad by emails. The common email account providers are Google Gmail, Yahoo Email, Outlook, Aol, Exchange, etc. Consequently, if the selected photos are not too many, you might as well attempt to send photos on computer by uploading them to email, and then login to the same email address to download them on iPad. 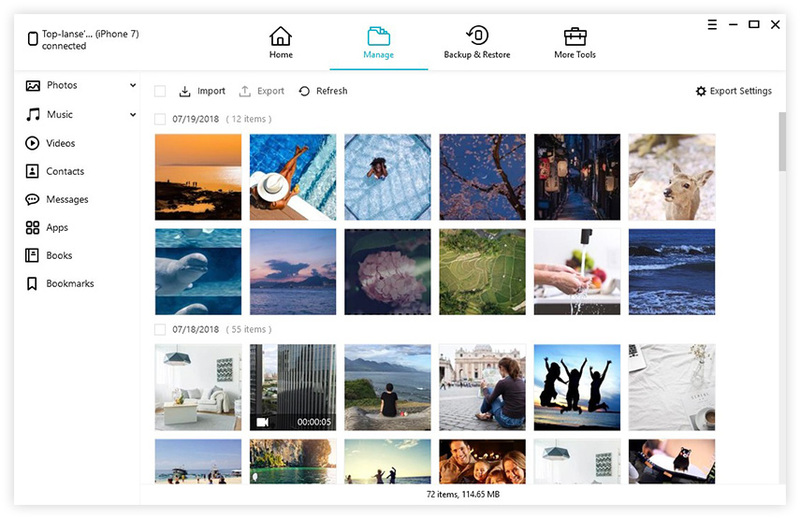 Beside this, there are also various third-party image syncing services, such as Google Photos, Amazon’s photo service, or any other third-party provider like UltData, iAny Transfer, iFunbox, Photo Transfer, etc. Most of them could be running on all platforms. 1.Firstly, tap on photos in the Finder screen that you feel like transferring to iPad on Mac device. 2.Hit on “AirDrop” from the side menu. After that, drag your target items to iPad option in AirDrop. 3.Click on Accept on your iPad. At last, you will receive photos in the Photos app. 1.Open “Launchpad” and then click on “Photos” app on Mac. Then click on “Photos” menu at the top left of the window. 2.Now you need to select “Preferences”. Then choose “iCloud”, login iCloud account if it asked, then turn on iCloud Photo Library to access photos and videos. 3.Now wait until all the photos on Mac are synced with your iPad device. Note: In this way with Photos app, you could also import the target photos to Mac, and click on the Share icon on the top right of the screen, which is next to Search box. After that, tap on “iCloud Photo Sharing” to share photos. Take note that you need to enable “iCloud Photo Sharing” on iPad by clicking Setting > Photos > iCloud Photo Library, iCloud Photo Sharing. 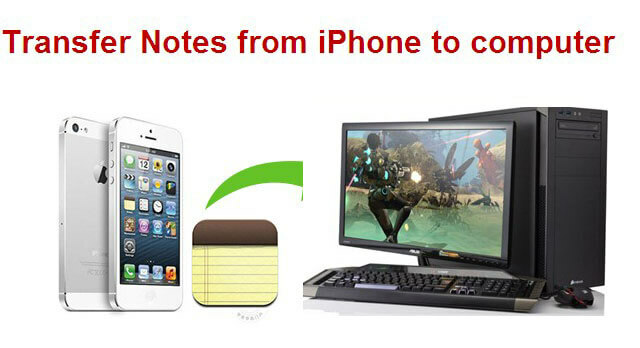 That’s all for the top ways on how to transfer photos from computer to iPad without deleting exiting photos. Are there any new methods I haven’t mentioned above? Any further questions about them will be appreciated, welcome to Email us or leave comments below.